Benjamins are pleased to welcome this four bedroom extended detached property to the market, in the much sought after village location of Keyworth. The property is within walking distance to the local amenities including, shops, schools, sports facilities and public transport services, and also benefit from a south facing private garden. 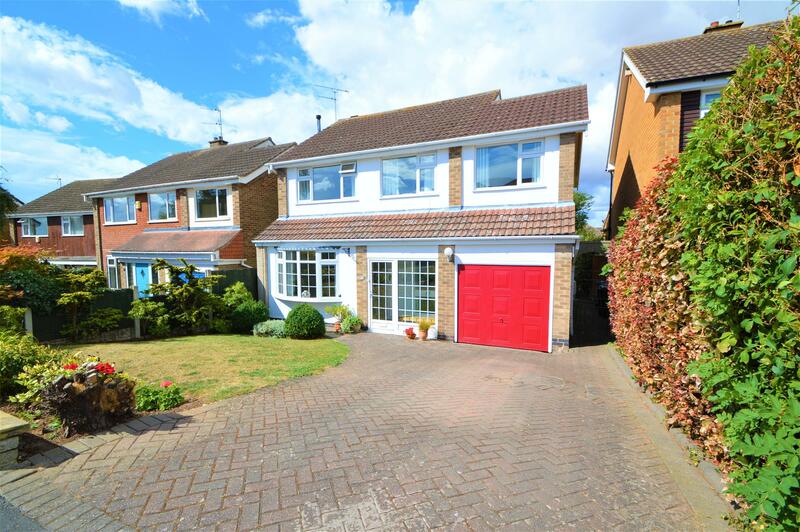 The property briefly comprises; Entrance porch and hallway, Living Room, Kitchen with open-plan lounge/diner to the rear of the property, downstairs WC, utility, four bedrooms with en suite to master, Family bathroom, south facing garden, driveway and integral garage. Access the property from the front via porch with double glazed windows and door, power and lighting, tiled flooring, door to entrance hall. A good sized entrance hall with access through to the kitchen/dining area, Living Room and stairs to the first floor. A very good size living room benefiting from radiator, TV point, wall mounted lighting, featured gas fireplace, double glazed bay window to the front elevation. A very spacious breakfast kitchen/dining area with a range of upper and lower units with under unit heater. Also includes a 4 ring burner with a smeg double oven with extractor fan, stainless steel sink with mixer taps and half drainer, tiled splash backs, integrated Neff dishwasher, tiled flooring, double glazed window to the rear elevation, radiator, door leading to utility and WC and french doors leading from the dining area out to the rear garden. With Storage units, obscure window to the rear elevation and door leading out to the rear garden, plumbing for washing machine and dryer, tiled floor, boiler and doors leading to a ground floor WC with hand basin, radiator, lighting and integral garage. A good sized double bedroom with fitted wardrobes, lighting, radiator, carpet and double glazed window to the front elevation. The second bedroom is also a good size double bedroom with lighting, radiator, double glazed window to the front elevation and door leading to the en suite. Three piece en suite showeroom with pedestal wash hand basin, low flush W/C, shower cubicle with electric shower, radiator, obscure window to the rear elevation, vinyl floor, tiled walls and spotlights. The third bedroom is also a good size double bedroom with pendant lighting, radiator, carpet and a double glazed window to the rear elevation. 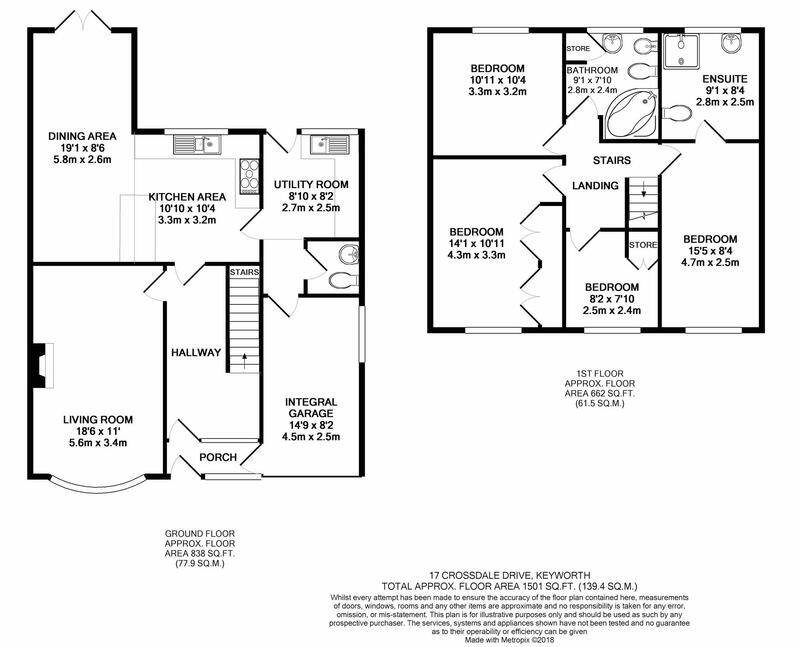 Three piece bathroom suite includes a bath tub with mixer taps, low flush W/C, pedestal wash hand basin, storage cupboard, lighting, tiled walls, vinyl flooring, and obscure double glazed window to the rear elevation. Access into the integral garage from either to the front of the property or an internal door from the rear utility room, includes electric and power. The front of the property includes laid lawn, concrete drive leading to garage with hedge, shrubs and planted boundaries. The rear garden is a good size south facing private garden with a garden shed, separate patio entertainment area, laid lawn, shrubs and hedges.